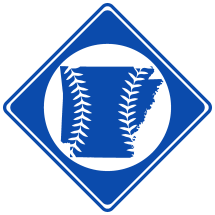 The Fort Smith Electris were a minor league baseball team based in Fort Smith, AR, in the 1897 Arkansas State League. The team was managed by Pete Weckbecker1. Blackburn Vandervilt2. Possibly Edward Walker Blackburn, Cumberland (Lebanon, TN) pitcher in 1896 from Ozark, AR. Fishback Son of Arkansas Gov. William Fishback. Mike Jacobs With Paris in 1897. Charles "Dad" Nolan With Paris in 1897. Jim Reynolds Son of F.T. Reynolds of Fort Smith. Played college baseball in KY.